I thought of this memoir for this picture right when we got the project. I always loved this picture my friend took while we were driving through Kansas and thought it fits perfect. 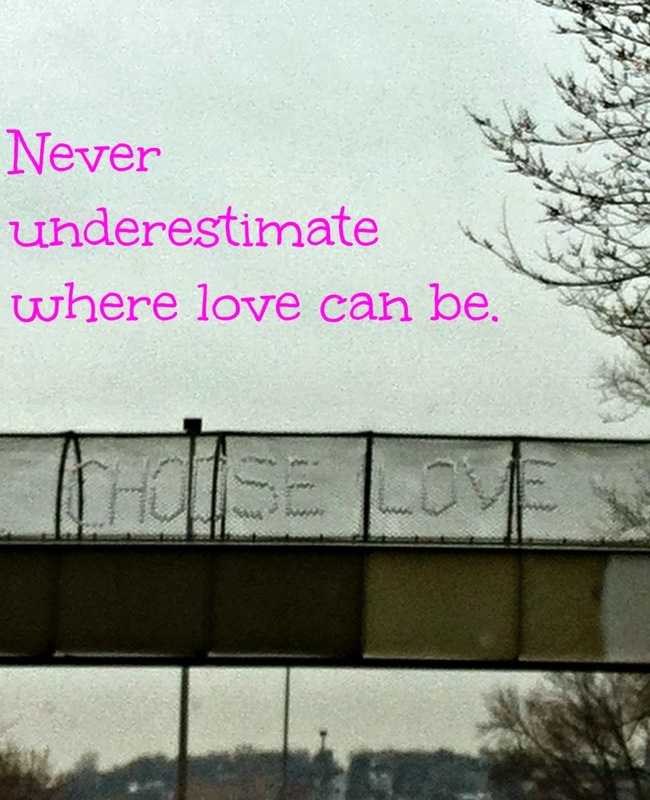 “Choose Love” was written on a bridge we drove by. I thought it was very unique and was nice to see because something that is so small like that can brighten someones day. 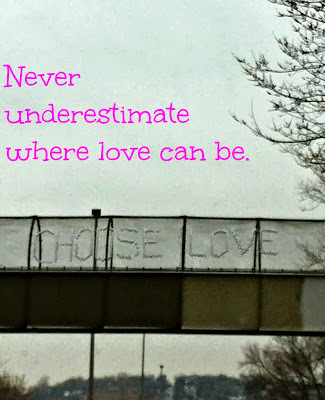 I made the font bigger to emphasis the memoir, I made it a bright pink color because its the color most people think of for love, also for it to add some color to the picture.